Possibly thousands of federal prisoners could be released as a result of the proposed clemency. The U.S. Department of Justice announced last week that President Obama wanted to consider additional clemency applications based on a new set of factors that would allow for more just outcomes for nonviolent drug offenders. According to P.S. 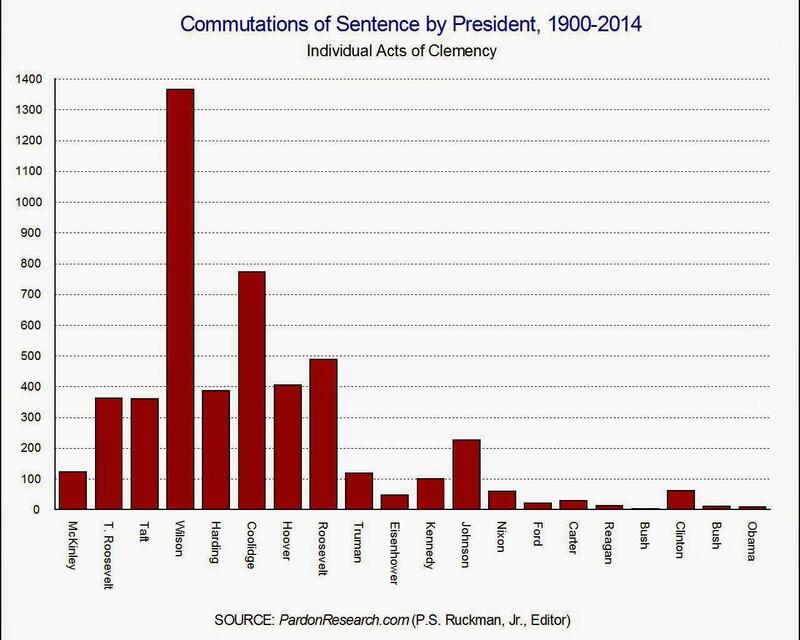 Ruckman, a political science professor at Rock Valley College and writer for the blog Pardon Power, while successive administrations have received record-setting applications, commutations of sentences are "freakishly low." Lyndon Baines Johnson was the only president in the past 60 years with over 100 sentences commuted. Now, with this change, Obama is poised to commute hundreds, and possibly thousands, of federal prisoners. "There are still too many people in federal prison who were sentenced under the old regime and who as a result will have to spend far more time in prison than they would if sentenced today for exactly the same crime," said U.S. Attorney General Eric Holder last week in a video statement. Holder is referring to the 2010 Fair Sentencing Act, which lessened penalties on crack cocaine to bring them in line with penalties for powder cocaine. A long-standing unequity in mandatory sentencing that critics called racist as most cocaine users being white and most crack-cocaine users being black. The clemency program would include inmates who have already served 10 years of their sentence, are nonviolent, and would have received a substantially lower sentence if convicted today. P.S. Ruckman, professor of political science at Rock Valley College, author of the book "George W. Bush and the Pardon Power." *This is the second segment in the April 30 edition of The Source, which airs at 3 p.m. on KSTX 89.1 FM -- audio from this show will be posted by 5:30 p.m.
A new philosophy of rehabilitation for inmates has taken shape at the Bexar County Jail. The effort is designed to stop the cycle of escalating levels of criminal activity by inmates after they are released from the local facility. Pamela Taylor, CEO and founder of Dress for Success, teaches a new class at the Bexar County Jail.